"I've got you right where I want you! Bullseye!" A somewhat cliche'd line, sure, but with one of X-Wing's newest ships, you might find yourself saying just that. The M12-L Kimogila has a new firing arc called the Bullseye arc. It's very restrictive, being just a narrow band directly in front of the ship. But if you can manage to line up a perfect shot, well, there's all sorts of bonuses you can get, depending on how you load out your fighter. 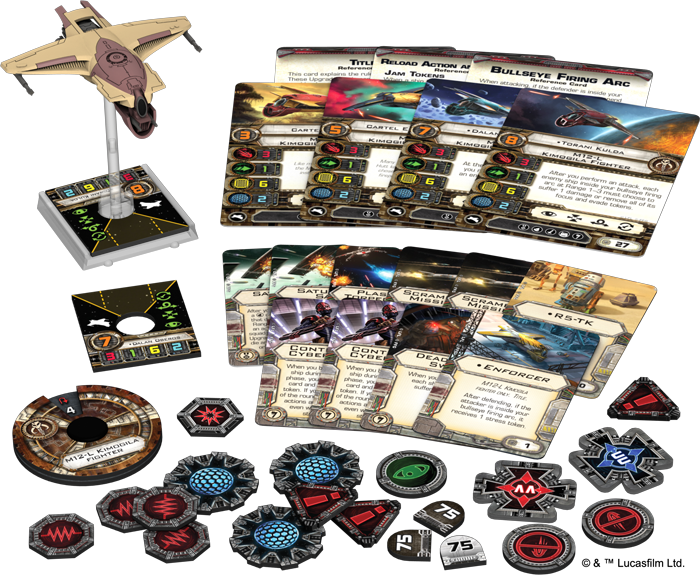 Check out this X-Wing preview from Fantasy Flight.